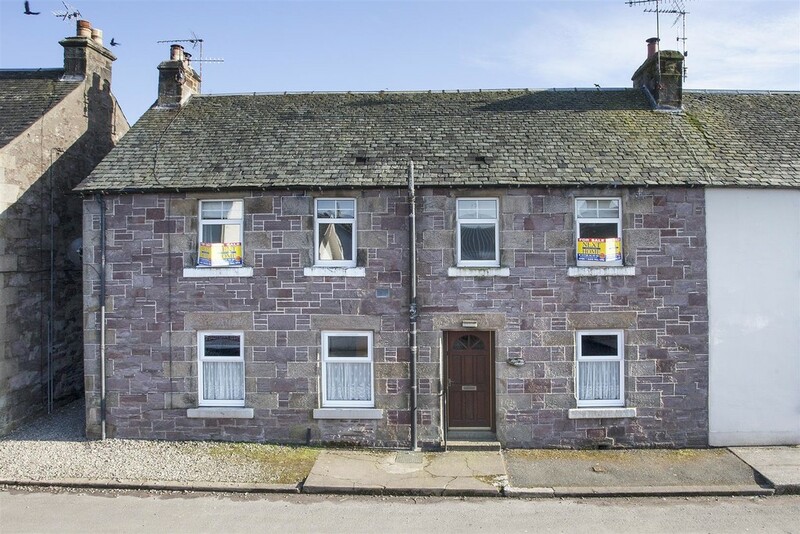 We are delighted to bring to the market deceptively spacious and immaculately presented TWO BEDROOM UPPER FLOOR APARTMENT situated within the quiet Perthshire village of Blackford. 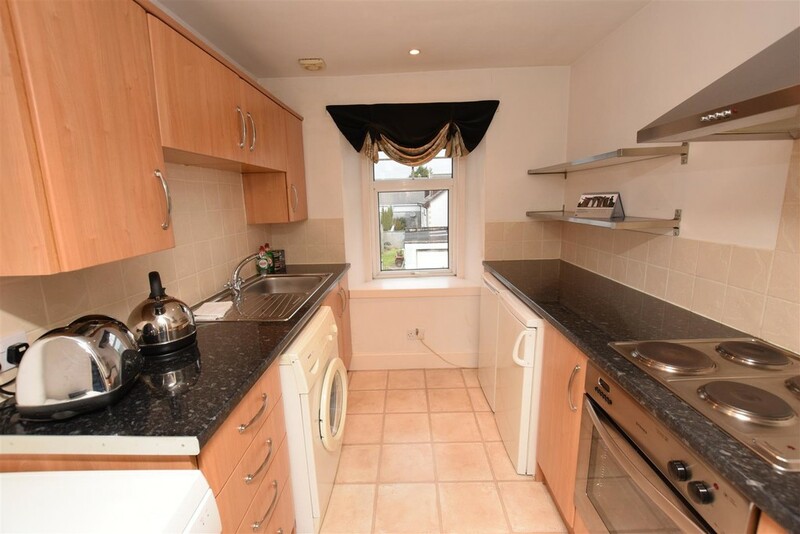 The property has been well maintained throughout and the accommodation comprises entrance porch, dining hall, lounge, modern kitchen, bathroom and two double bedrooms. There is oil fired central heating and double glazing throughout. There is a small area of garden ground pertaining to the property which currently houses a timber shed and is gravel chipped for ease of maintenance. To the front of the property there is on street parking. 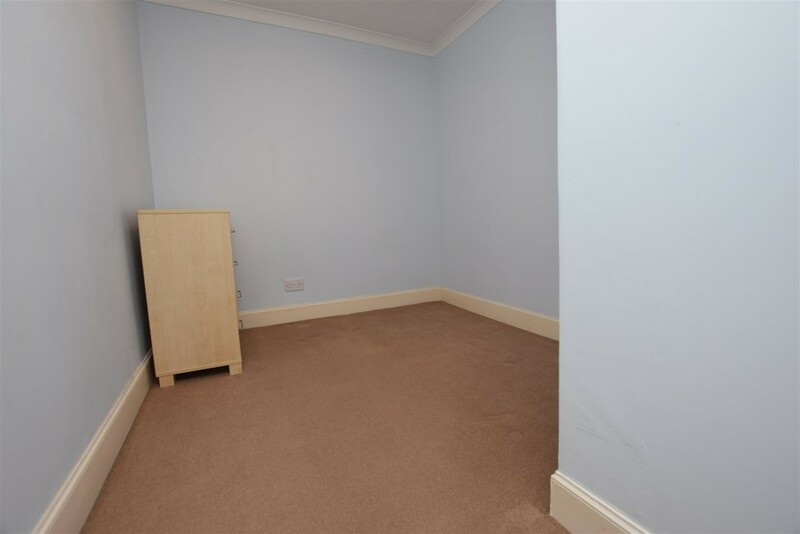 Early viewing is highly recommended to appreciate this spacious property. 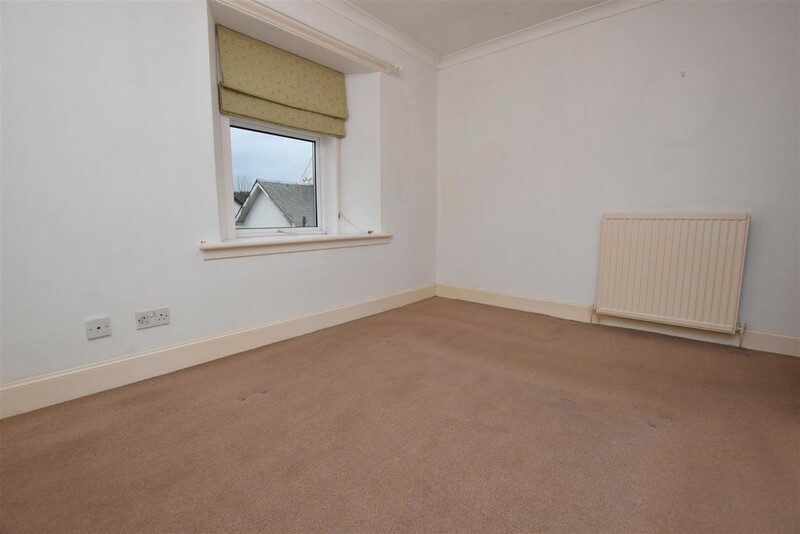 EPC Rating D.
AREA Blackford is situated approximately 5 miles from the town of Auchterarder and is an ideal location for commuting to both Auchterarder, Glasgow, Edinburgh, Stirling or Perth. There is a reputable primary school, a recently renovated play park, village shop with post office and local pub. Hosts of the well known Highland Games and offering an enviable amount of local walks and stunning scenery. The town of Auchterarder provides an abundance of local amenities and leisure facilities including an array of shops, hairdressers, Bank of Scotland, restaurants, health centre, post office and golf course. There are primary and secondary schools within the town and the nearby A9 makes it an ideal location for commuting to Perth, Stirling, Edinburgh and Glasgow. The town is also well serviced by Gleneagles train station. The prestigious Gleneagles Hotel offers a host of unique leisure facilities and restaurants including the award winning Andrew Fairlie as well as three championship golf courses which are regarded among the best courses in the world. Entrance Porch 1.83m x 0.89m (6' x 2'11") Enter through a part glazed door where the floor is laid with tiling and leads thereon to the dining hall. Entrance/Dining Hall 3.89m x 2.18m (12'9" x 7'2") A wide and welcoming reception hall providing access to all accommodation with this property. There is a deep sill window overlooking the rear providing additional sunlight and a hatch providing access to the partial floored attic space. Radiator. A high level cupboard which houses the fuse box. Telephone point. Carpet. Smoke Alarm. Due to the size of the hall there is plenty of space to accommodate a range of freestanding furniture. Lounge 4.95m x 3.38m (16'3" x 11'1") Entered from the hall through a fifteen pane glazed door into this bright room with a deep sill window to the front of the property. 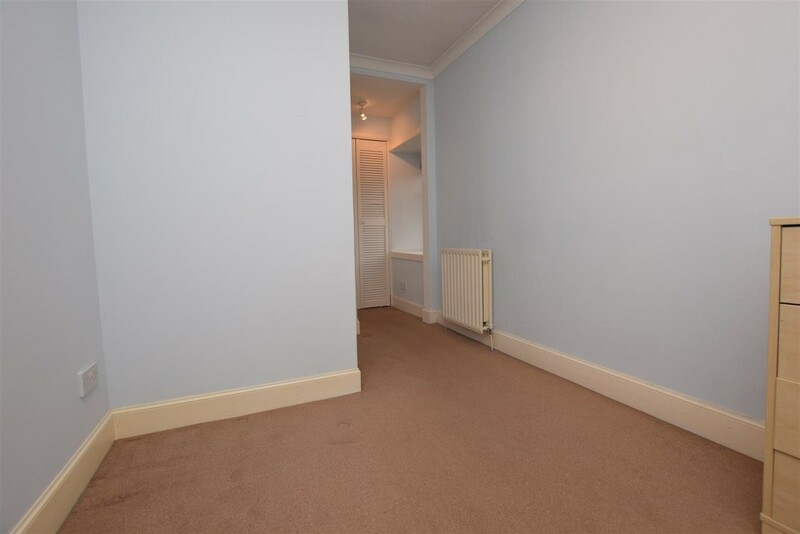 It is carpeted, neutrally decorated and enhanced with cornicing to the ceiling. 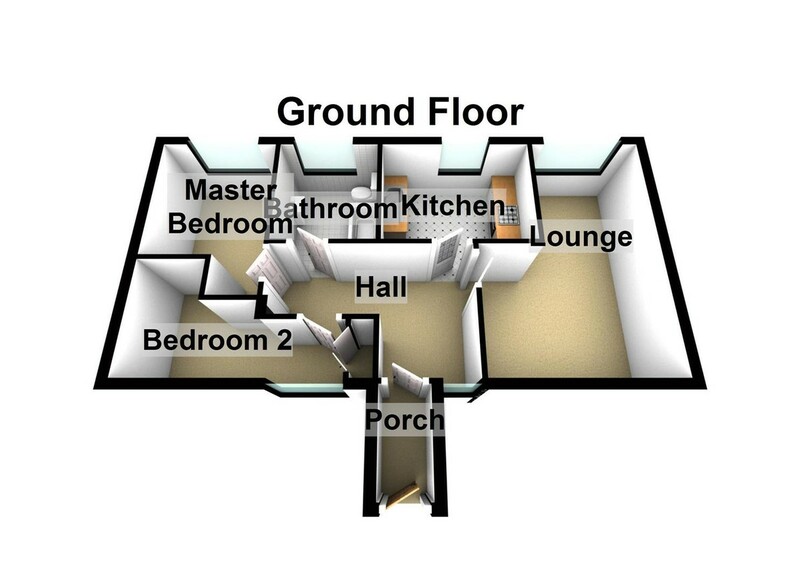 Please note that the feature fireplace is for decorative purposes only. Radiator. Television point. Dimmer switch lighting. Kitchen 3.07m x 2.26m (10'1" x 7'5") This kitchen is fitted with a range of modern wall and base units with contrasting work surfaces and tiling between. Integrated oven and hob with an extractor over. Please note that the dishwasher, washing machine, fridge and freezer are all included in the sale. A stainless steel sink and drainer unit is fitted. Tiled effect vinyl floor covering. There is a deep sill window to the front of the property and additional illumination is from inset halogen spotlights. Master Bedroom 3.43m x 3.68m (11'3" x 12'1") A spacious master bedroom which gains plenty of natural light from a deep sill window to the front. 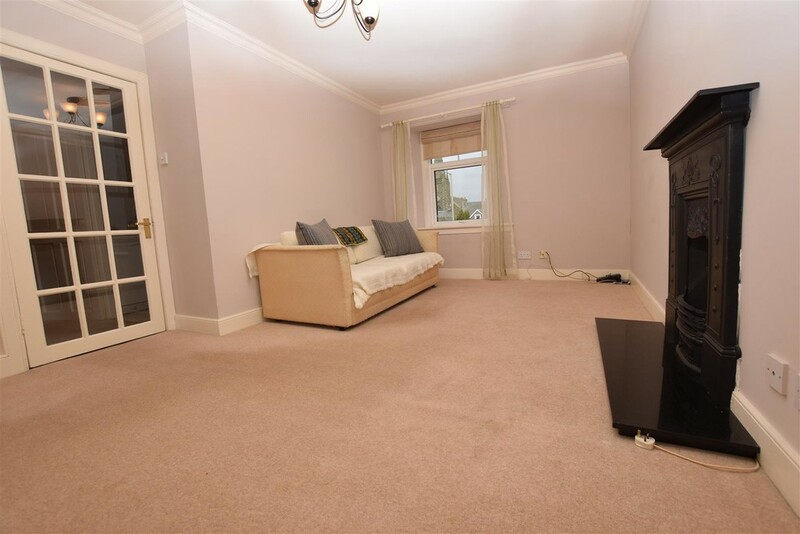 There is carpet to the floor, the walls have been finished in neutral tones and the ceiling is enhanced with cornicing. Radiator. There is ample space for a range of freestanding furniture. Bedroom Two 4.47m x 2.26m (14'8" x 7'5") Another well proportioned bedroom with a deep sill window to the rear. There is a double fitted wardrobe with hanging rail and shelving for storage. It has been carpeted, tastefully finished and fitted with cornicing. Radiator. 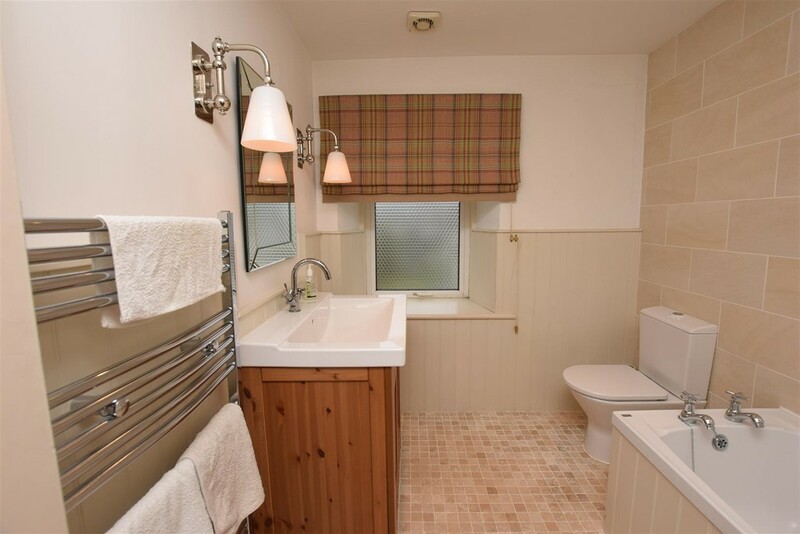 Bathroom 2.64m x 2.03m (8'8" x 6'8") The bathroom is fitted with a modern white suite comprising W.C. wash hand basin enclosed within a vanity unit with mirror over, bath with shower over and glazed shower screen. Chrome ladder heated towel rail. Dimmer switch halogen inset lighting. There is complimentary tiling to the floor and partial tiling to the walls. Exterior To the rear of the property there is an area of garden ground which is enclosed with a mixture of stone wall and timber fencing. The garden is predominately laid to gravel chips for ease of maintenance and there is a sizeable timber shed which is vented to house a tumble dryer if required. There is ample on street parking available to the front of the property.